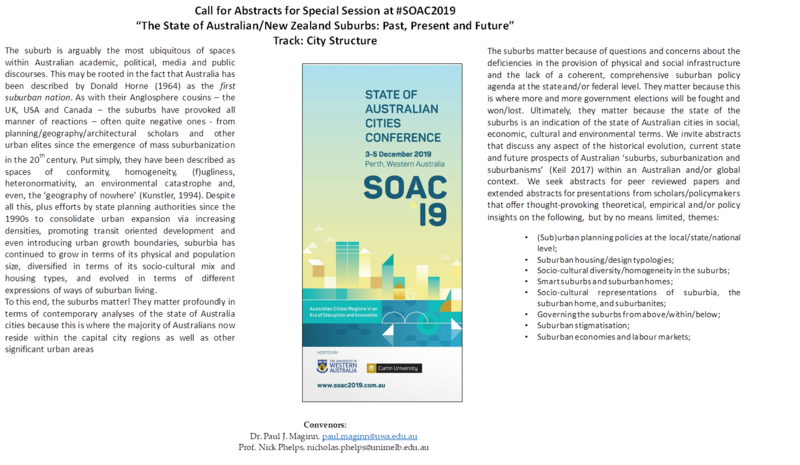 Please see below details on a call for abstracts for a special session on Australian/New Zealand suburbs at this year's State of Australian Cities Conference in Perth, Western Australia, and convened by Prof Nick Phelps and myself. We are interested in receiving abstracts from colleagues doing research that focuses on suburbia, suburbanisms and/or suburbanisation within Australia and New Zealand. We are also keen to receive abstracts from international colleagues doing comparative work on Australian/New Zealand suburbs and other parts of the world. Colleagues can submit either an abstract for the peer reviewed paper option (abstracts are due 8th March), or an extended abstract for the non-peer reviewed presentation option (abstracts are due 31 March). 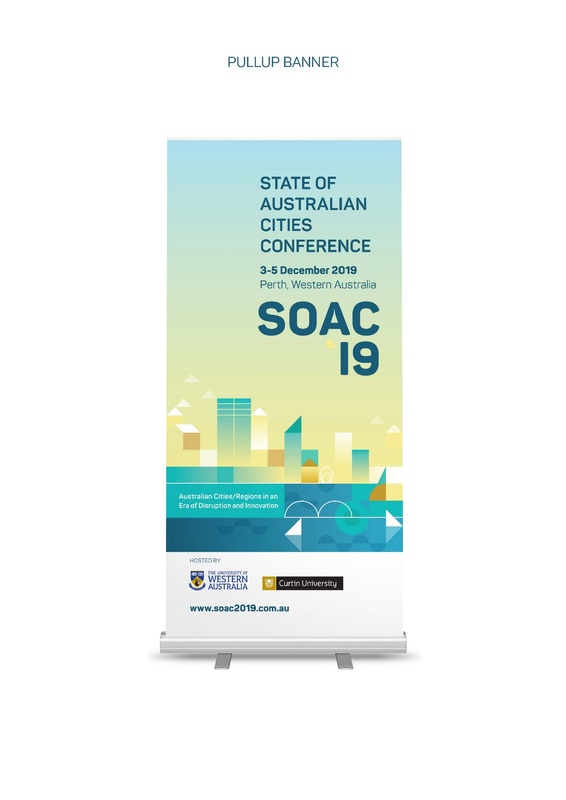 See http://soac2019.com.au/call-for-abstracts/ for more details on the abstract submission options and process. We welcome abstract submissions from academics (PhD students, ECRs etc), policymakers working on suburban issues, and other researchers conducting interesting and robust analyses of Australian/New Zealand suburban issues. If you are interested in taking part in this special session, then, please email your abstract in the first instance to Prof Nick Phelps (nicholas.phelps at unimelb.edu.au<mailto:nicholas.phelps at unimelb.edu.au>) and I (paul.maginn at uwa.edu.au) so we can check that the abstracts fits with the special session. Please feel free to email us if you have any questions about the special session.